PES 2013 is not yet available in the Android Market, because this application is a paid and the Android Market has not provided the purchase paid applications for Indonesia. Alternatively, users can purchase through Android Market website via Google Checkout payments. 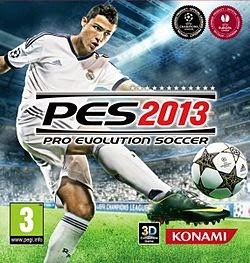 Menu choices PES 2013 Smartphone version similar to that of the Playstation. You can play Quick Match or practice first by selecting the menu Training, In addition there is the option to play a full league to the Champions League. Option to play a club or national team of a country is also available as the Playstation version. Overall, the game is good and very recommended, according to the predicate as a paid application. Xi-Game little flaws observed in this game is a virtual joystick located some ketengah so sometimes disturbing vision while playing this game. And also the lack of Multiplayer features on the Android version to be a very unfortunate shortcomings. New Multiplayer Features for iOS and Bada versions where users can compete with friends via Wi-Fi or Bluetooth connection.